Sweet Charity | Theater | Style Weekly - Richmond, VA local news, arts, and events. 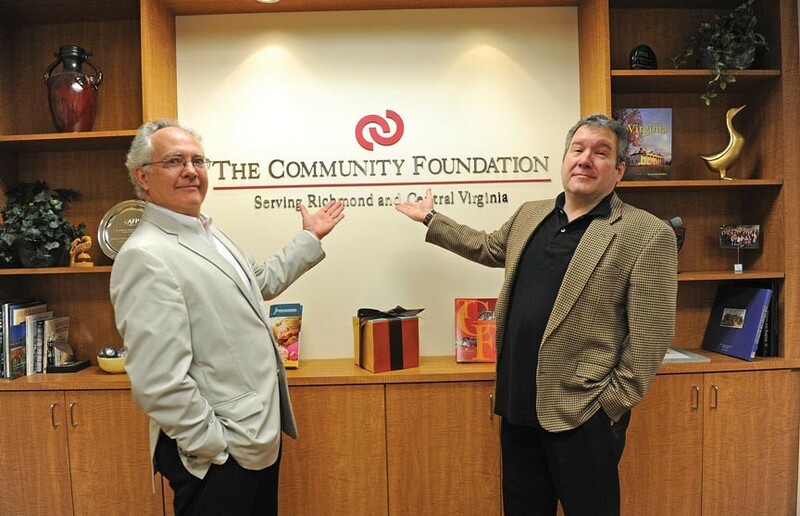 Phil Whiteway of Barksdale/Theatre IV (left) and Richmond Triangle Players' Philip Crosby are two of the administrators behind an emergency fund for area theater professionals. A special Tony Award viewing party is being held this week, with proceeds going to the fund. The idea came at intermission. "I just love the Tony Awards and wanted to throw a party," says Keith Martin, the former managing director of the Richmond Ballet, about the initial idea of an emergency fund for people in the local theater community. And so Martin and other local performing arts folks will hold a Tony Awards viewing party at the Richmond Triangle Players building June 12. Not only that — they'll also use the event to raise money for the Theatre Artist Fund of Greater Richmond. The fund, which gives help to those in the theater community that have fallen upon sudden dire straits, came out of a repeated need. One person, dying of AIDS, was about to be evicted from his apartment and become homeless. Before the fund even existed, the theater community raised money to pay for an apartment until he passed on. Another time, a man who'd just undergone major life-saving surgery was returning home for eight weeks of bed recovery. In the dead of winter and without funds to fix his broken furnace, the theater community again rallied to purchase the man a new heater. The fund has only been used a handful of times since its official creation in 2006, Martin says, and all the recipients were fully employed and insured before tragic events unfolded in their lives. "It's [for] that kind of catastrophic event where someone needs help immediately," Martin says. "All of us are only one disaster away from financial devastation." The idea was taken up by a coalition of actors and artists, and was established through the Community Foundation with the assistance of the Richmond Alliance of Professional Theatres and companies such as Theatre IV. All contributions to the fund are tax deductible. Phil Whiteway, the managing director of Barksdale/Theatre IV, helped to establish the fund, and serves on the board that assesses who is awarded money. "We thought that we needed to do something for those that have spent their time in the Richmond theatre community," he says. "We should look out for them." Modeled after The Actors Fund in New York City, Whiteway originally wanted to set up Richmond's program through that endowment, but decided it would be better to handle it locally. "We thought, 'why don't we just create our own fund here in central Virginia?'" The money has only been used three times, according to Lisa O'Mara, the vice president of donor engagement for the Community Foundation. "It's a disaster relief fund for individuals," she explains. People in need go through an application process and a committee decides whether the applicant would be a good recipient. O'Mara says that almost all of the donations to the fund have come from individuals. Martin hopes to see the Tony Awards shindig become the second annual event to work as a fundraiser for the charity. The other event is the Richmond Theatre Critics Circle Awards, held in October. (This writer is a member of the theater critics' group.) This past October the awards ceremony raised roughly $3,000 for the fund. With a minimum donation of $10 at the Tony event, attendees can fill out a ballot with their Tony predictions. Grand prizes of as much as $250 for the top three predictors will be issued at the end of the evening — although attendance isn't required to purchase a ballot for the prizes. Food and drinks will be provided by local restaurants and hotels, and there will be a cash bar. Hosts for the event will include Martin, Deb Clinton, Philip Crosby, Michael Hawke, Anna Johnson, Lisa Kotula and Todd Schall-Vess. Martin says he expects attendance will be somewhere between 100-125 people. The Tony Awards Viewing Party will take place at Richmond Triangle Players, 1300 Altamont Ave., on June 12, 7-11 p.m. Tickets run from $10 to $35, and dress is festive party attire. For information call 346-8113 or email crosby@rtriangle.org. To learn about the Theatre Artists Fund, go to richmondtheatres.org.